If you think email marketing is no longer effective or relevant, you’re doing it wrong. Effective email marketing is a powerful method to grow your startup business. In fact, it can generate quality leads, boost your bottom line and increase brand awareness. However, to get the most out of email marketing, you need to follow the recent trends, apply the best practices and add some creativity to the process. If you’re ready to kick-start your email marketing campaign, consider these tips and strategies that will help you get the results you’ve always wanted. Have you heard that email marketing is dying since social and digital communication channels took hold? This prediction, however, has proven to be false since email marketing seems to continue to thrive. If you still need reassurance, here are some stats which prove that email is the one marketing trend that can never go extinct. Email marketing spending in the U.S. is predicted to rise from 2.67 billion dollars in 2016 to over 3 billion dollars in 2019. On average, 66% of users make a purchase after receiving an email as opposed to 20% for Facebook and 6% for Twitter. 80% of retail professionals indicate that email marketing is their greatest driver of customer retention. Welcome emails bring, on average, 320% more revenue than other promotional emails. 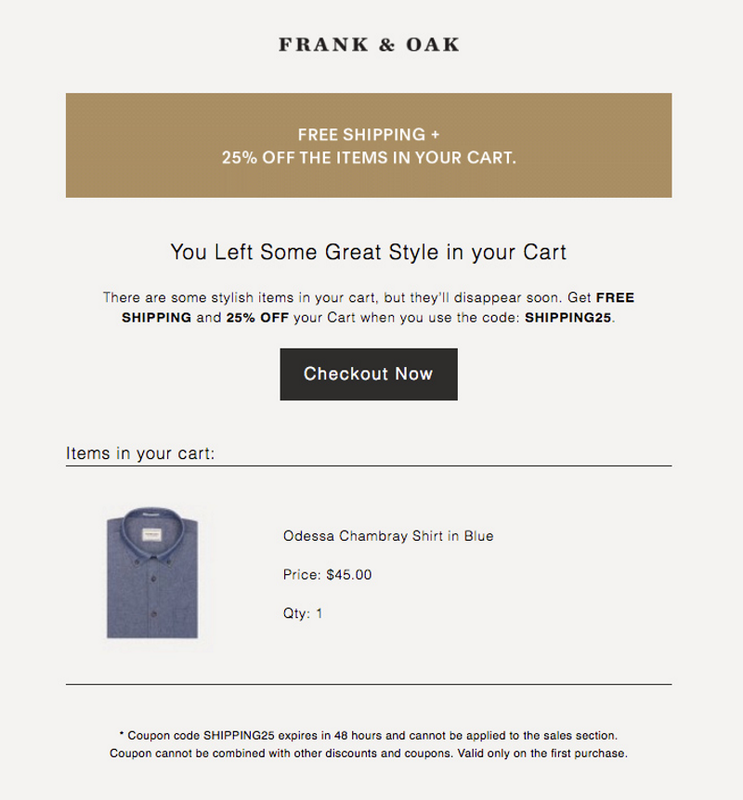 Plain-text emails get higher open rates. Tuesday is the best day to send an email as it shows the highest open rates among all days of the week. Most people typically read emails in the morning, the best time for opens is between 10 – 11 AM. Emails that have 50 – 124 words had the best response rate at 50%. It looks like email marketing is more powerful than it’s ever been. Additionally, it’s also way different than it was a decade ago. Progress of technology has introduced important changes in how customers interact with businesses. This also means marketers have to improve their tactics to keep up with constantly evolving trends. Here are some up-to-date ways of how to stay competitive with your email marketing campaigns. Kinetic emails are designed to look and feel similar to a website experience. This means that a new layer of interactivity is added to emails to make user experience more fluid and quick. According to Martech Advisor 2017, interactive email content improves the click-to-open rate by 73%. This is a great reason to start looking for opportunities to make your emails interactive. According Aberdeen, personalized email messages increase click-through rates by 14%, and boost conversions by 10%. However, personalization does not only increase your revenues, but also helps you build relationships with your customers. For instance, according to Econsultancy 74% of marketers have noticed that targeted personalization increases customer engagement. Thus, this is the best time to go beyond “first_name” and get more personal with your customers. It means that your email marketing messages have to be personal to the recipient and provide content that matters to the specific person. Additionally, it helps if you put a face behind your brand. Send your email campaigns with your name in the “from” field and your customers will feel like the conversation is more private and exclusive. 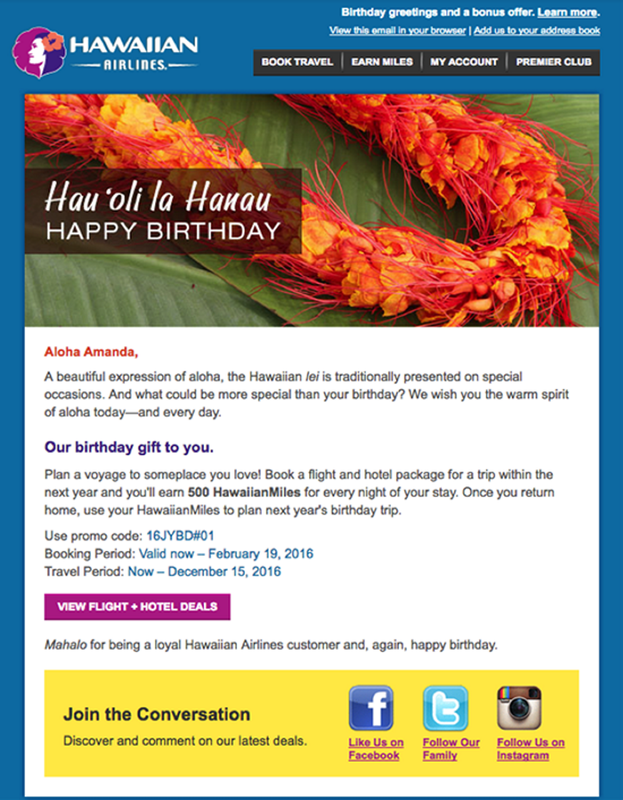 For instance, Hawaiian Airlines did it by sending out happy birthday messages to their clients. Single automation series are not enough anymore. With the increasing information overload, you have to be different to stand out. This is why you should create hyper-segmented automation series according to your subscribers’ interests, needs and characteristics. The more targeted your automation will be, the better results it will bring. Google Analytics provides insights into conversions, page views, visitor demographics, and track interactions with your content. Capsulink is a custom URL shortener that protects you from traffic loss and offers insightful analytics. Hotjar.com shows you how visitors are using your website with heat maps and recordings of real visitors. Quantcast reveals unique audience insights and analyzes people’s online behavior. Another great way to highly customize your email automation is by allowing your recipients to choose the content they wish to receive. This self-selected email automation has the potential to boost your email engagement as well as sales. 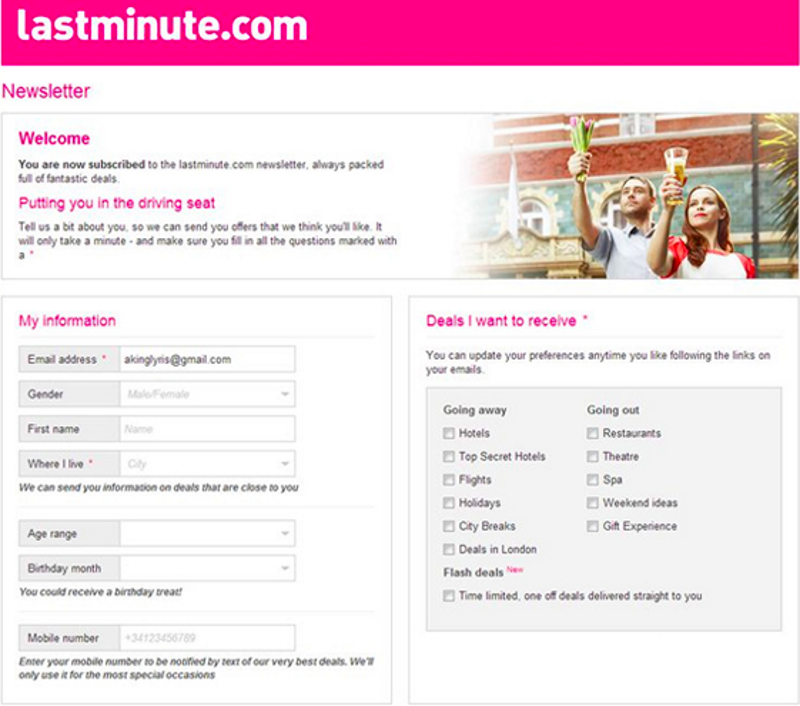 Lastminute.com, for instance, use self-segmenting in their preference center – each subscriber can check the boxes of the deals they want to receive. This means your customers will be more satisfied with the content they receive since they chose it themselves. Today’s consumers value content that goes beyond plain sales offers or product information. In turn, they are eager to receive valuable information that fits their interests and lifestyle goals. This can be guides, how-tos, recipes, related news, life hacks, fashion tips and other types of engaging content that keeps your subscribers from unsubscribing. If your messages educate or entertain the recipients, they will more likely stay engaged. 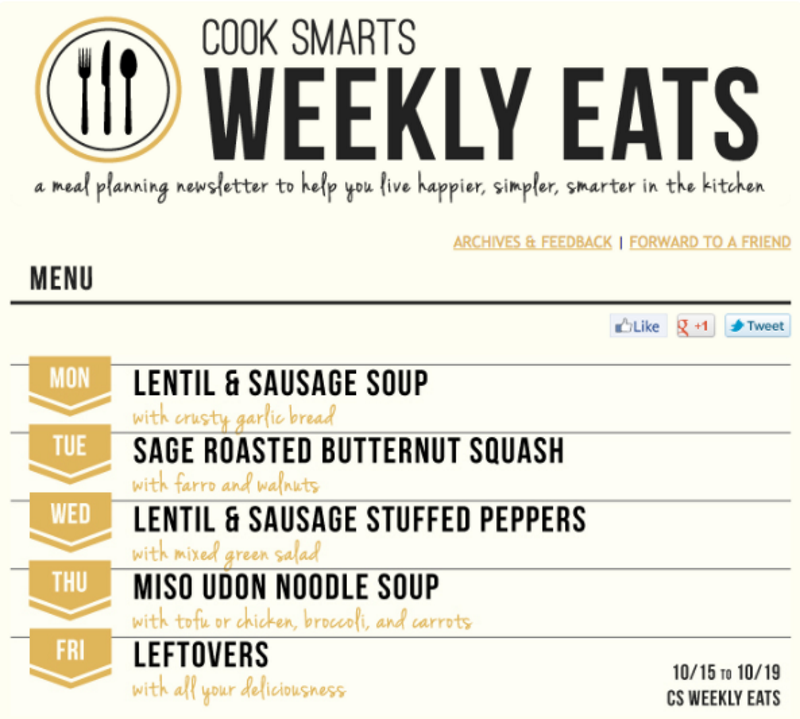 Cook Smarts‘ “Weekly Eats” newsletter is a great example of creating content that strengthens their relationships with customers. It contains recipes, kitchen how-to’s and relevant tips. Furthermore, “Forward to a Friend” call-to-action in the email is a great way to encourage sharing. According to Sumo, adding a video to an email can increase the click through rate by 200-300%. Although many email clients cannot display embedded video, this is about to change. HTML 5 (the newest version of HTML) is more robust and offers more options for videos. iOS 10 already support the HTML5 video format and others most likely will follow. Already more than 50% of emails are opened in Apple email apps. This means you may want to try embedded videos. For those subscribers who use other email clients that don’t support HTML5 remember to provide a fall-back option. For instance, adding GIFs or using a play button on top of an image are other great options that work with most email clients. For example, when recipients click on the image in Trelise Cooper email, they see a nice animation. According to Expertsender.com, trigger-based campaigns can provide 4 times more revenue and 18 times more profit. Also known as autoresponders, trigger emails keep customers engaged. You can create trigger emails by using AI and automation. These emails can be sent, for instance, in cases of abandoned carts, new sign ups and reordering prompts. By sending regular trigger emails, you can continually re-engage your leads and create a consistent brand engagement. Google estimates that more than 75% of its 900 million Gmail users access their emails on mobile devices. This means that responsive design has become a “must have” and your emails have to be design mobile-first. When creating a mobile friendly email, make sure your templates are responsive or use single column designs. 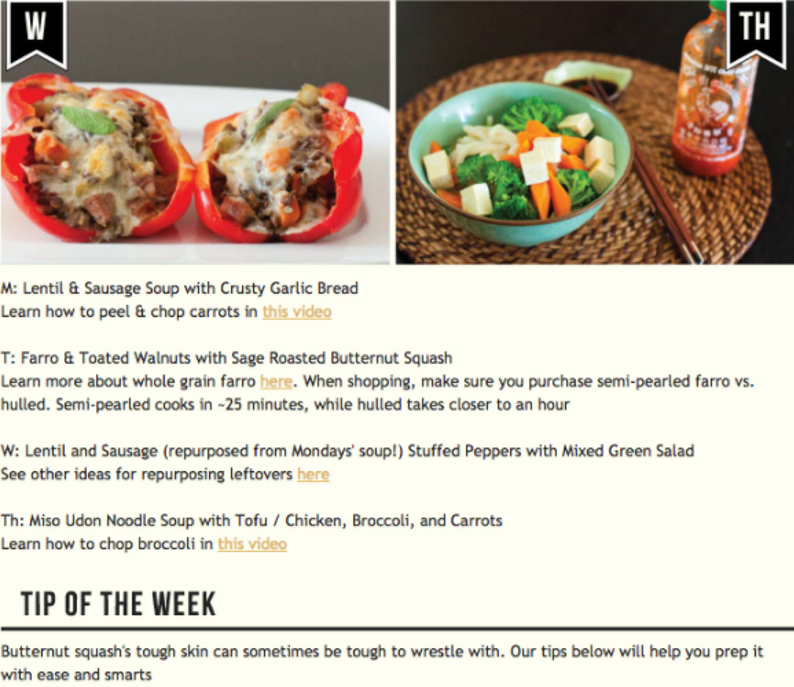 Add a clear subject and preheader text, limit the amount of images and keep the texts short. For instance, Caterpillar grabs the attention with a simple image and header, an exciting brand story and an attractive CTA button. Looks like email marketing will stay one of the primary digital communication channels for a while. And as such it will have a great potential to grow your business. Thus, in order to keep competitive, digital marketers must improve their strategies, ensure better customer engagement and keep up with the changing trends. Consider these tips to make a few tweaks to your existing email marketing campaign or when you launch a new one. Do you have other powerful email marketing tips? Please share them in the comments section below. Email marketing rocks and will always do! I have heard the same thing going around; that email marketing is dying – but is far from the truth. I believe email marketing will always be a great way to market to your niche audience. People love their emails and always will. It is personal and people love that. I’d also highly recommend people who are just starting out with online marketing to build their email list from the start and learn as much as possible about email marketing. It will really help your business get to a high level of success. Email marketing is a powerful way to turn leads into customers and customers into loyal brand evangelists. This seems to me the right definition of Email Marketing. Thanks a lot for sharing the great trends. I do hope it will help me a lot. For good ROI, Email marketing is a powerful digital marketing strategy. For this reason, I love email marketing very much. I think Investing in email marketing is sure worth it — as long as you do it right.